Introduction: Unlike traditional method of using external heat like firewood and charcoas, an electric induction furnace requries an electric coil to induce the charge and form eddies that melt the metals. Electric induction furnace s extensively used for melting ferrous and non ferrous alloys like common steel, precious metals, alumium, etc. These furnaces are pollution free and can be used to melt from very small amount to seventy tonnes. Originally, only one coil was used to induct electricity, and later two coils were used so that the electircal currents could be produced easily. History: Electric induction began to be used from the beginning of 20th Century. With the aim to design furnace that were more efficient and pollution free, many models were invented by different inventors. The early models were modified over a period of time to increase the efficiency of the furnace and to make the furnace to be useful for melting more metals. Some of the modification that were included wer to use two coils to producte electric current and using water cooling system to cool the coils. The most prevalently used electric induction furnaces are They are mainly of tow different types the coreless furnace and the channel furnace. Operation: Basic operations of all types electric induction furnace is that the coil is placed inside the crucible where the metal is to be melted. The crucible is divided into two parts with the upper part used to remove the slag and the lower half is used to hold the melted pure metal. 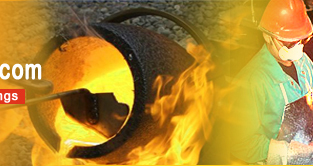 Crucibles may also be equipped with strong lids to lessen how much air has access to the melting metal until it is poured out, making a purer melt. The crucible is place on a stand for the easy pouring of the molten metal. In the first part of the process high voltage is passed through the coil and the current passes across the metal. The current that is created by the alternating electric current is known as eddy current. The current generates heat that melts the metal. After the heating operation the electric rod can be removed from the crucible. The slag is removed by removing the lids of the furnace. The pure melted metal sinks to the bottom, while the contaminants rise to the surface where they are scooped off. Water systems are used to keep the electric coils cool. The induction furnace is faster and more precise in temperature than a traditional furnace, and has widespread uses in metallurgy. An electric induction furnace is used by manufacturers to melt metal. Unlike more traditional methods, which involve heating the metal through an external means like fire, the induction furnace melts metal with an electrical charge. Advantages: The most widely used melting procedures in the modern day, this process has strong metallurgical control. 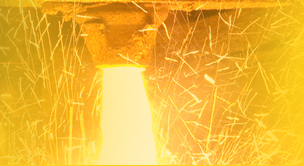 Efficient, economic, as well as durable, these furnaces are capable to melt a vast range of metals. Since, electricity is used for heating the melting practice can produce precise heat. Therefore, electric induction furnace can be use more accurate melting of alloys and resistant metals. In addition to the operation being simple, small quanties can also be melted quickly.